Views from the Wild Pacific Trail. Photo by Daniel Schwartz. 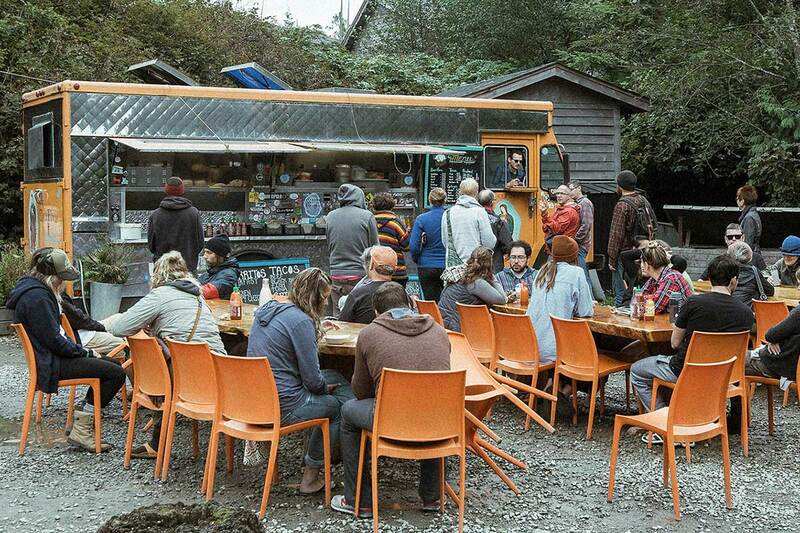 Surfers and hippies have long escaped to Vancouver Island to get away from it all. Post-election season, the Canadian hideaway may include a few disgruntled Americans too. 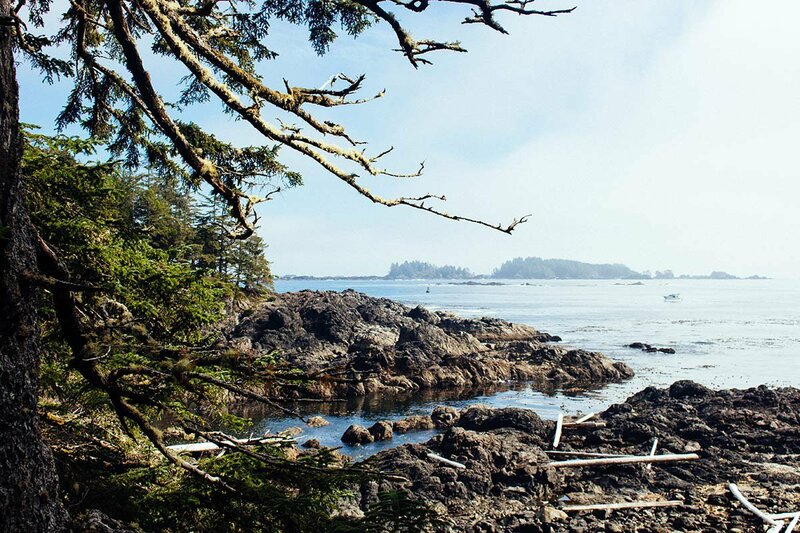 Here's your plan B.
TOFINO, Vancouver Island – After a two-hour ferry and a three-hour drive across Pacific temperate rainforest, it feels like I have reached the end of the Earth. But I'm in Tofino, a fancy, free-spirited fishing village on the west coast of Vancouver Island, land of pristine wilderness in the far reaches of British Columbia. I rise before the fog does in a dashing Airbnb penthouse overlooking the marina, then drive down the road for a cup of joe at Tofino Coffee Roasting Co. I savor the steam from my cappuccino before laying down line on a small boat with Bobby Kimoto Charters, one of many veteran operations run by local fishermen. 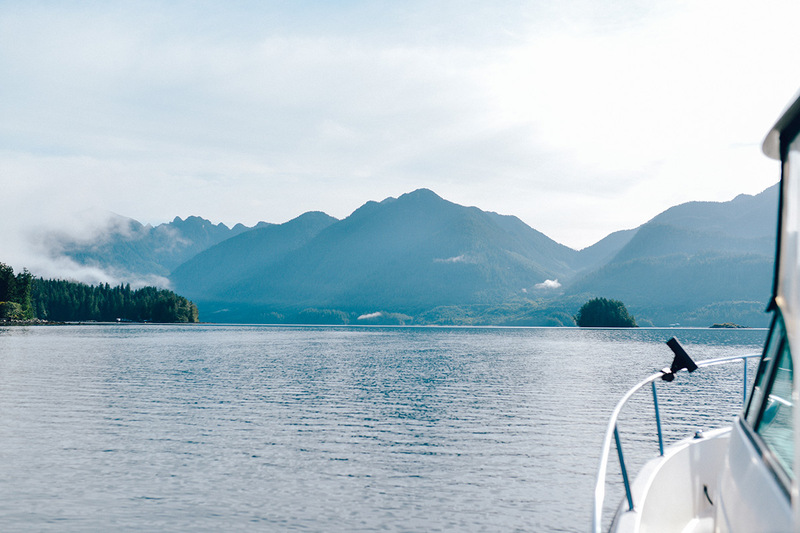 With hopes of halibut, Kimoto powers into the open Pacific, past peaks dressed in pine and billowing sea foam, but navigates back through Clayoquot Sound once motion sickness kicks in. It's no disappointment: The inlets surrounding Meares Island are prime territory for fishermen, sea lions too. We manage two salmon each (the daily limit) and one heavy sunburn. Fishing on Clayoquot Sound. Photo by Daniel Schwartz. Sunset at Cox Bay. Photo by Daniel Schwartz. Having just witnessed eight fish disemboweled en plein air, I naturally crave raw seafood, and snack on delicious tuna poke at Sea Monster Noodle Bar. Reinvigorated, I tackle the Lighthouse Loop on Wild Pacific Trail, a magical stretch of forested coastline nearby in Ucluelet. A foghorn and bellbuoy sound off in the distance, a reminder that many ships have crashed on these rocky shores. They say you can see whales spouting on the horizon, but I can't take my eyes off the lichens coating the spruce and cedar trees that hug the path. It's that kind of a walk. Spending the day in a state of nature, I'm as hungry as a wild animal. The original Tacofino, an orange truck parked behind a surf shop on the side of Pacific Rim Highway, has my antidote: a massive crispy chicken burrito with a mango-coconut fruit smoothie. The surfer vibes lead me to Cox Bay, perhaps the most popular surfing spot in Canada. It's the place to be during golden hour — the dim forests surrounding the cove make the destination beach feel like a secret alcove, and watching wetsuits whip out into the sunset never gets old. The scene at Tacofino. Photo courtesy of Tacofino. 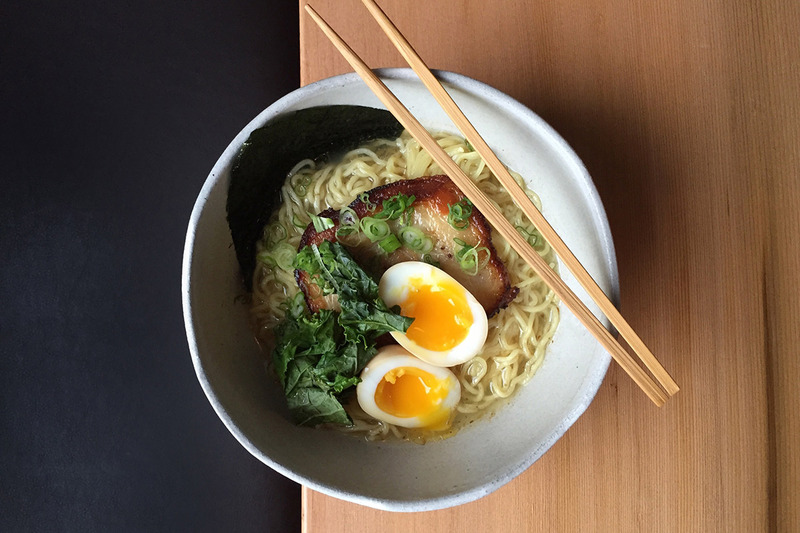 The ramen at Kuma. Photo courtesy of Kuma. The spread, no pun intended. 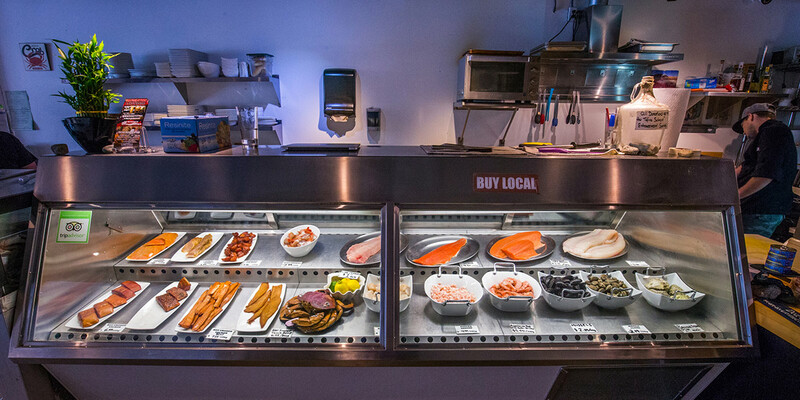 Photo courtesy of The Fish Store and Oyster Bar. Dinner is a difficult decision between Kuma, a cozy joint specializing in Japanese comfort food; Wolf in the Fog, a lively two-tiered eatery with a well-executed, hyper-local menu; and The Fish Store and Oyster Bar, a restaurant and bar that ships its exquisite seafood to restaurants across North America. I choose the latter, because I can't get enough of definitely real, fresh-caught salmon, whether its smoked and served as charcuterie, tossed under green curry and glass noodles, or served between two simple multigrain ciabatta buns. I head out in search of more Tofino Brewing Co. beer after splitting two bottles of their blonde ale over dinner. It's too late to grab a growler at the brewery, and the village bar scene is awfully quiet during the off-season, but I find their session ale and kelp stout at the only bottle shop open, the appropriately named Cold Beer and Wine Store (120 First Street; 250-725-3261). I share them at home in front of the fireplace, and they are some of best this light beer lover has ever had. But the tragedy of it all is that the brew, just like the picturesque wilderness and the laid-back lifestyle, are exclusive to Western Canada. Drive from Vancouver International Airport (YVR) to Horseshoe Bay (one hour), take a ferry to Naniamo (two hours), then drive across Vancouver Island to Tofino (three hours). Otherwise, it's a 50-minute flight from Vancouver by seaplane. 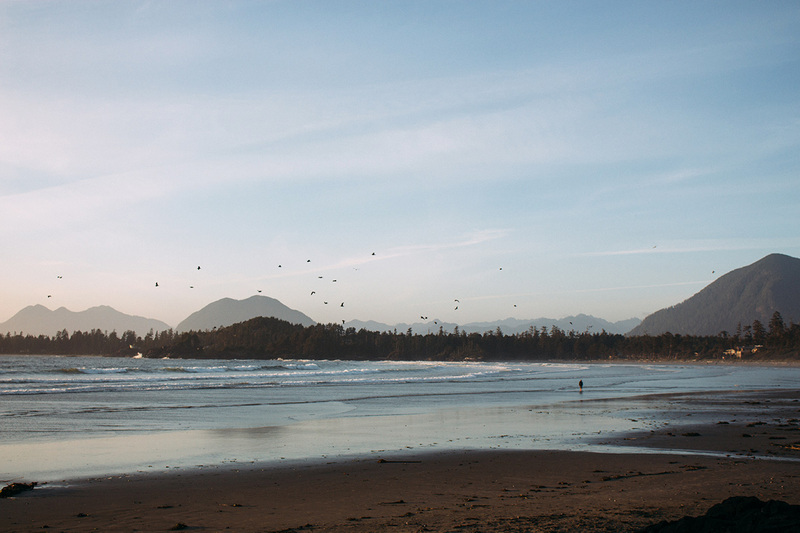 Tofino is walkable, but a car is needed to traverse the coastline. Bring yours on the ferry, or get one at Tofino Airport. Hotel prices are some of the state's highest during the summer. Surfing is some of the best in the country during the winter. But the best time to visit is during spring and fall, when things are calm, quiet, and beautiful.